One thing I have always struggled with in reading philosophy is the doctrine of Innatism, which holds that the human mind is born with ideas or knowledge. 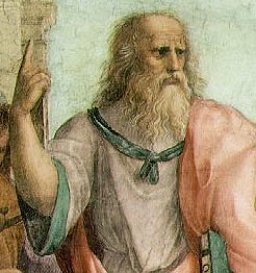 This belief, put forth most notably by Plato as his Theory of Forms and later by Descartes in his Meditations, is currently gaining neuroscientific evidence that could validate the belief that we are born with innate knowledge of our world. Philosophy of Mind came into its most compelling forms during the age of modern philosophy beginning with René Descartes. Perhaps infamously, Descartes claimed that mind and body are two distinct substances – philosophical jargon for what exists without the aid of any other thing. For Descartes, the world was clearly and distinctly physical in one sense and entirely mental in another. This seems perplexing, and Descartes did concede that the mind and body were closely intertwined and appeared to act with respect to one another, but his arguments clearly press that they are not causally connected in any way. These notions of dualism seem nearly preposterous with the advent of modern science, but were nonetheless important in developing our thought about the mind in the modern era. The discoveries of modern neuroscience have certainly heightened our understanding of the brain and its functions, and have begun to provide us with a physical groundwork for the complicated problem of effectively investigating the mind. While it is certainly beneficial to establish physical principles that underly cognitive function of the brain, how does this effect the larger endeavor of understanding the mind? Neuroscientists such as Rebecca Saxe of MIT are converging on things like the nuroanatomical basis of moral judgment and just scraping the surface of what can bridge the gap between what physically “is” and what metaphysically “ought” to be. In her experiments, Saxe proposes that she has pinpointed the right temporoparietal junction (RTPJ) as a brain center for making moral judgments and has conducted experiments with magnetic brain stimulation that can effectively change the moral judgments of her subjects. Please see her TED talk here for a full explanation of her study. 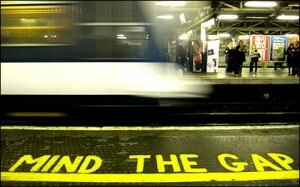 Crossing the gap at the wrong time can be devastating. In the 1700s, David Hume proposed what has now become known widely as the Is-Ought Problem. He calls for caution in making statements about morality or what “ought” to be based on extrapolations of what “is” and that what ought to be does not necessarily follow from what is. The problem aptly applies to neuroscientists like Saxe whose research make strong suggestions about the neural basis of existence and attempts to bridge the is-ought gap. All of this research is establishing a large library of what “is” concerning the brain, but it also suggests that metaphysical concepts such as morality and meta-ethics can be reduced to neurological connections and connectivity. Hume stresses that while what is and what ought to be are important revelations in and of themselves, what ought to be need not follow from what is. Neuroscience must understand this separation as its advances begin to encroach on many of philosophy’s already well-established concepts. Brain activity is only one component of our consciousness. What I’m saying here is that modern neuroscience must use caution in making conclusions about human nature. Empirical evidence can certainly be used to help understand more abstract ideas, but the evidence and the ideas must remain seperate with respect to causality. 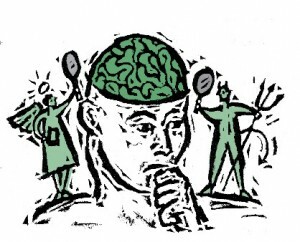 Making discoveries about brain function and the empirical science behind things like emotion or judgment is a valiant and respectable scientific investigation. However, this pursuit must be kept separate and distinct from the pursuit of understanding how we ought to be or act. Our moral thought is something more abstract and multidimensional than connections between neurons and sequential acton potentials. While investigation of the science of the mind is important, it should not seek to explain our existence nor try to answer philosophy’s greatest problems with calculations and empirical data.